For anyone that had a Stryker Rejuvenate or Stryker ABG II modular hip replacement system surgically implanted in the last few years, there is no doubt that they are concerned about the device that is now in their body. 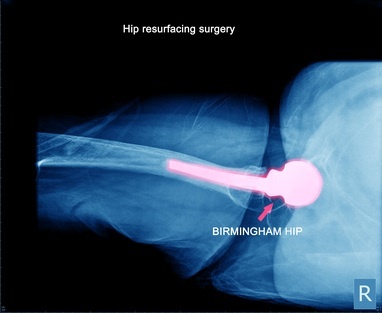 In July 2012, these devices were voluntarily recalled by Stryker and now patients must wonder if and when they will need to go through painful surgery again to have their hip replacement removed. The worry and concern that they will be the next victim of Stryker hip complications is understandable. The problems and complications that can result from the Stryker hip replacement are more than just simple dysfunction of the device. These defective products can put patients in very real danger of health problems and illness, far beyond just poor function. Although the initial concern was that these devices were failing sooner than expected, the Stryker hip complications have escalated to even greater concerns. Loosening. As the device begins to wear, the components no longer fit or stay in the same position as when it was implanted. This can cause the parts to begin to move in directions that no longer support normal movements. It may feel like the joint is dislocating, sometimes even resulting in dislocation. Strange sounds. As the wear on the device occurs, patients may hear squeaking noises or popping sounds when moving. It has been also described as a popping noise. Localized pain. Once these problems start, many patients will feel pain when trying to do certain activities. Common issues are stair climbing or descending and going from a standing to sitting position, such as getting in and out of a vehicle. This can be a dull, aching pain or a shooting pain. Metal poisoning. The chromium and cobalt metal flakes that are released into the tissue and bloodstream can cause metallosis or metal poisoning. These metals have been known to cause organ and nerve damage as well as have links to cancer when they are at high levels in the body. Bone complications. The bone surrounding the implant may weaken, causing bone loss and fractures. Tissue damage. The metal corrosion into the surrounding tissue can cause severe pain, tissue damage and pseudotumors in the patient. In the cases of metal poisoning, the resulting damage may not be apparent for many years to come, which is why it is so important to discuss your options with a personal injury attorney that specializes in Stryker hip complication lawsuits. Even if you are having no symptoms now, we encourage you to call us to discuss your options to protect you in case of medical problems you may experience down the road. We Are Your Stryker Hip Complications Experts! Not all medical or personal injury attorneys are experienced with the complex nature of metal on metal hip replacement cases. At Drug Law Center, we have been involved in these types of cases since the very beginning of the metal on metal hip replacement complications. We have undergone extensive research into this unique area of medical device defects and their resulting effects on the patients that have them.